We walk back, His arm twined in mine. I am still distracted by all that He has told me, so I am grateful for His guidance back. It seems we return very quickly to the roses. I lay the coins beside the feather. Before I have an opportunity to think, He hands me the next flower. Truly it is a hideous thing. 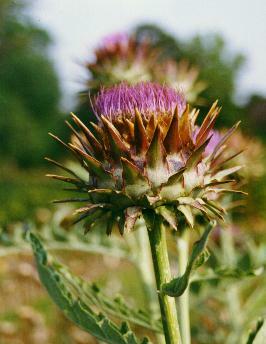 Covered in thorns of all shapes and sizes, gnarled and bent, the flower looks more like a thistle than a rose. The words hang in the air between us, hovering so heavily I am forced to take a step back. Immediately, though, I see what He is telling me and I know it is true. The voices are so familiar to me. I want to drop it, but cannot. My hands to seem to tighten of their own volition around the deformed flower, driving the spines deeper into my hands. Although intense, the pain is a familiar one and for a moment I am taken back to the abyss. I remember times when I was trapped in that place that pain was the only thing I was able to feel. I would clutch as this flower just to be able to feel something. “Drop the flower.” He commands, suddenly bringing me back to the grove and the garden. I try, but cannot let it go. “I can’t, Papa, I can’t, help me! Please! Help me!” the pain and frustration I feel fills my cries as I feel trapped by the flower’s thorns. He stands behind me, encircling me with His strong arms. As He pries my hands apart, I see the scars in His hands and see my name carved in His left palm. A new strength fills me and with His help, I finally release the deformed thing. I dare not argue or disobey. Although it hurts, I take up the sword He has given me to strike at the horrid flower. His strong arms swallow me, the strength of His chest supports me. His strength is so much more than I understand. For a moment I feel surrounded in Him, all I see is His white robe, reminding me for a moment of the abyss. But this is not that place. I am swallowed, engulfed by His love! I suddenly know as I have never known—I am loved—I do matter to Him! I am loved by Him. He holds me deeply in His embrace as He explains, “This is to be your new expectation, love.” Into my wounded hands He presses a tear drop shaped stone half the size of my palm. 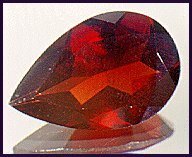 Deeply red and faceted, the stone seems like a drop of blood frozen it time. But the stone is warm and the warmth penetrates my wounded hands, burning out the thorns, healing the wounds left by the thorns. The burning pain in my hands flows away and I fall once again into His powerful embrace. Once again I am swallowed I the white fullness of His arms. For a moment I am struck at how like the abyss it is, encompassing, consuming, too powerful to resist. Yet where the only thing I could feel in the abyss was pain, the pain is strikingly absent here. Then I surrender to the awesome love that overflows in this place and release all thoughts of the abyss. He holds me there for a long time, saturating me in His consuming love. Never before have I felt truly loved by Him. I can see so clearly the power and the difference of this new expectation.